In space, no one can see your head swell. Eyes get squashed, bones get weaker — it sounds like something out of Gravity, but researchers are looking into growing concerns over the long-term health effects space can have on astronauts. The human body isn't made to withstand the final frontier. 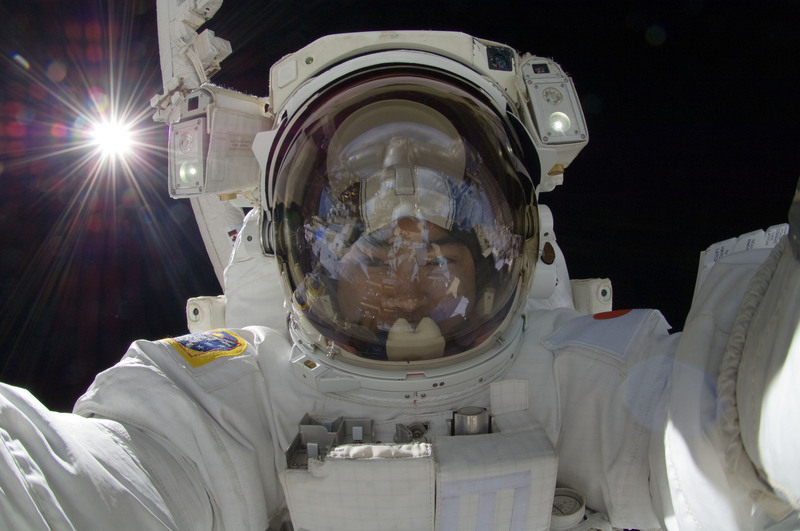 Astronauts have returned with poorer eyesight, bone and muscle loss, and may be at greater risk for cancer due to radiation exposure. Since the first American was launched into space in 1961, there are still many unknowns when it comes to how space affects health, and some problems have only recently been discovered. The adult human body contains about 60 percent water, some of which acts as a shock absorber for the brain and spinal cord. But in outer space, your fluids float into your chest and head, causing increased pressure and swelling. Some astronauts have also reported trouble sleeping and eating. In 2009, NASA astronaut and physician Dr. Michael R. Barratt noticed he had difficulty seeing objects close up while he was on the International Space Station. Another doctor and crew member was on board, so they performed eye exams on each other and found their vision shifted towards farsightedness. It turns out their eyes became squeezed, with abnormal bends in their optical nerves and blemishes on their retinas. Yikes. Mark Kelly, a retired NASA astronaut, will aid in a study that monitors the health of his brother and fellow astronaut Scott Kelly. Scott will spend a year on the space station, marking the longest amount of time an American has been in space, while doctors evaluate his conditions and compare them to his twin, who will be on Earth. Weightlessness is also an issue. The body doesn't need to support weight in zero-gravity, resulting in weaker bones. NASA gave astronauts osteoporosis drugs and strapped them to a treadmill, which remedied the problem. Scientists are continuing to evaluate these issues as they prepare for the possibility of sending people to Mars, where health concerns could be catastrophic since astronauts will have to be more self-sufficient. Let's just try to avoid anything like this, shall we?